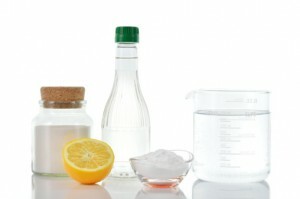 You are here: Home » Blog » Do DIY Drain Cleaners Really Work? Do DIY Drain Cleaners Really Work? DIY drain cleaners are best for routine cleaning and maintenance, not clearing clogs. Having a clogged drain can be a real annoyance. If you don’t notice it in time and let your tub or sink overflow, it can be an expensive problem too due to the resulting water damage. Naturally you want your drain clogs cleared quickly and completely. Most people think it will be faster to reach for a chemical drain cleaner. This might be a product like Drano, or it might be a “natural” drain cleaner made from safe household products. Unfortunately, DIY drain cleaners of any kind can have mixed results. In general, they are most effective on clogs caused by a buildup of grease or small bits of food, rather than hair, roots, or other foreign objects. At The Drain Dudes®, we recommend using DIY drain cleaners for routine cleaning and maintenance to keep clogs from developing in the first place. When you do have a clog, we would much rather you try one of these natural drain cleaners before calling us rather than using a chemical product that can put your family and our plumbers at risk with hazardous fumes and skin-blistering splashes. Baking Soda & Vinegar: This is by far the most popular DIY drain cleaner. Simply take one cup of baking soda and dump it down the drain, followed by one cup of vinegar. The mixture will create lots of foam, which you can chase with plenty of hot water. Salt, Borax & Vinegar: Another option is to try a mix of one part salt, one part Borax, and two parts vinegar. Put this down the drain followed by lots of hot water. Boiling Water: Plain old boiling water is a simple get effective DIY drain cleaning method for clogs caused by congealed grease in the kitchen sink. When pouring boiling water down the drain, aim carefully so the water doesn’t damage plastics or crack porcelain. Note: These drain cleaners can only be used on clogs after the water has drained. 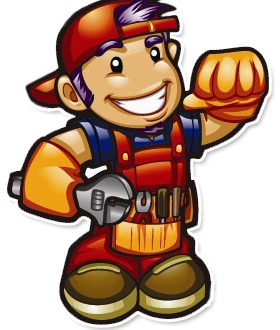 If you have a clog with standing water, or if your clog hasn’t responded to your DIY treatment, you’re better off calling The Drain Dudes® right away. 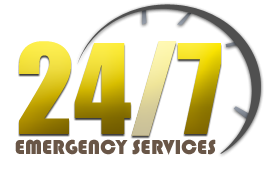 We will come to your property as quickly as possible to correct the problem. We have a variety of professional drain cleaning tools at our disposal and we can clear all the clogs your DIY cleaner can’t, including ones caused by hair, roots, diapers, sediment, etc.